A Malagasy banknote issued by the Central Bank of Madagascar. 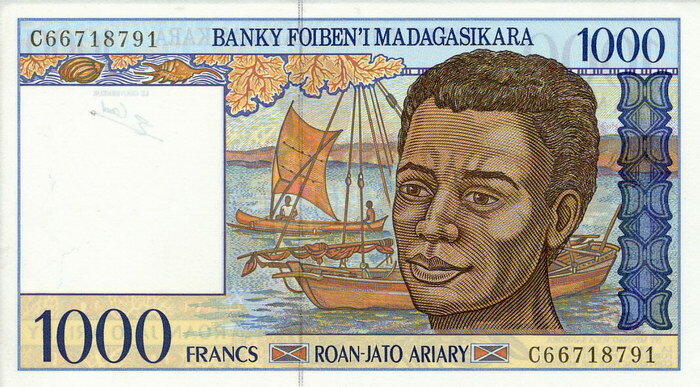 On the front of this 1000 Franc note is a picture of a Malagasy man. In the background are two boats including a traditional sail pirogue. 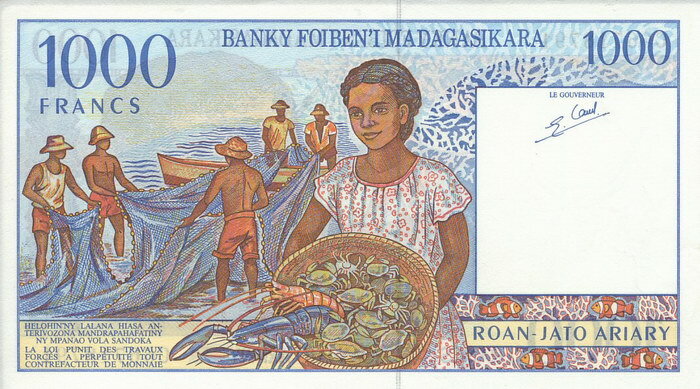 On the reverse is a scene of fishermen packing away their nets and a Malagasy girl carrying a basket of crabs and lobsters.